Yearbooks are a fundraiser for the Bill Burden PTO and all of the proceeds go directly back to your child’s school for funding key programs and initiatives! Yearbooks are available for purchase online at www.jostensyearbooks.com. Each yearbook is $25 until February. You can also purchase an ad online for $15. This allows you to upload a picture of your child and leave your child a message. It will appear in the yearbook. 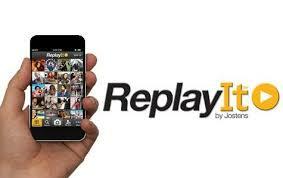 Click here to upload photos for the yearbook using Jostens ReplayIt.